Attacks on doctors, teachers and agricultural advisers were also a deliberate Contra tactic encouraged by their U.S. advisers. In the 1980s many thousands of people from all over Europe and North America traveled to Nicaragua to demonstrate their solidarity with the Nicaraguan Revolution led by the Sandinista Front for National Liberation (FSLN). They joined women and men from all over Latin America and the Caribbean who also rallied in a great wave of solidarity defending Nicaragua’s revolution against the terrorist aggression of the U.S. government under President Reagan. For people in North America, the foremost figure of that solidarity is Benjamin Linder, who was murdered by U.S. armed and supported Contra fighters in 1987. 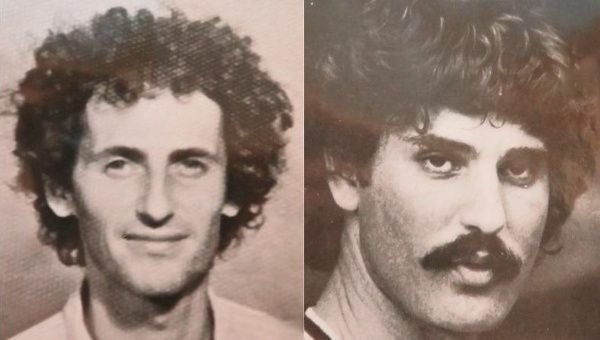 Less remembered are European martyrs like Albrecht Pflaum from Germany and Pierre Grosjean from France, both doctors, who were murdered in separate Contra attacks in 1983. 2016 marks thirty years since the deaths in 1986 of five other Europeans. Maurice Demierre, Joël Fieux, Ambrosio Mogorrón, Yvan Leyvraz and Berndt Koberstein. It is worth remembering these people now because their example and vision entirely contradict what Europe has become under the misrule of the European elites. Maurice Dèmierre was a Swiss agronomist working in rural areas of Nicaragua’s north western department of Chinandega. From a devout Catholic family, Maurice was sentenced to three months in prison as a conscientious objector against his country’s national military service. He was 28 when his vehicle set off a couple of U.S. Claymore mines on Feb. 16, 1986. The explosion killed Maurice and five of his Nicaraguan passengers. Such incidents were very common in Nicaragua because the U.S. government encouraged the Contra fighters it armed and trained to deliberately target civilians so as to create fear and paralyse normal social and economic activity. Among the most notorious of these attacks were one near San Juan de Limay and another near San Jose de Bocay destroying public transport vehicles and murdering almost 60 people all told, leaving dozens wounded. Attacks on doctors, teachers and agricultural advisers were also a deliberate Contra tactic encouraged by their U.S. advisers. At the time he died Ambrosio had been working for years accumulating data on leishmaniasis, the much feared disease better know as “mountain leprosy” and had accumulated analysis of around 2500 cases in the region. Berndt Koberstein, 29, was a German mechanic from Freiberg, then in East Germany, who first came to Nicaragua in 1981 to help install a printing press for the Sandinista Youth. Very active in his local communist party in Germany, Berndt intensified his solidarity work after the murder of Albrecht “Tonio” Pflaum in 1983. He returned to Nicaragua to work in the town of Wiwilí in northern Jinotega installing drinking water systems for local people there. When the vehicle Berndt and his companions traveled in was attacked, Berndt was unarmed and was shot dead during the combat. Yvan Leyvraz was killed by a rocket propelled grenade as he tried to get out from the vehicle under fire. Joël Fieux took a weapon and fired back at the Contra attackers until he too was shot dead. “In every historical moment, a part of youth reminds older generations of the need for and the commitment to freedom. Each generation sees a mortal struggle in which each of us choose either to defend the status quo or to change it. Maurice, Yvan, Joël and Berndt, like so many young people were on the side of hope to be able to change the world so as to build a new world”. As contemporary Europe struggles to free itself from its squalid, corrupt elites and to remake itself from its all too pressing history of brutal colonialism and genocidal war, its peoples could well take inspiration from the great example of their heroes and martyrs in the cause of international peace and justice in Nicaragua.